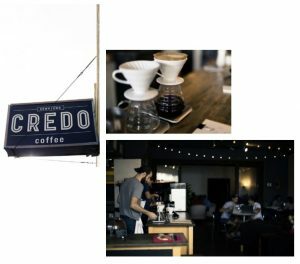 Walking into CREDO in Orlando, Florida, is not so different from walking into any other coffee shop. The buzz of coffee beans grinding fills the air; pastries tantalize from their case on the counter. Depending on which of CREDO’s four locations it happens to be, there might be professionals grabbing a drink en route to a meeting or artists sitting at a table collaborating on their latest project. The difference starts to reveal itself when the barista asks, “How much do you want to pay for your coffee today?” Prices range from $2 to $4—buyer’s choice. Customers are introduced to their coffee as much for its story as for its flavor. Café de la Esperanza, for example, was grown and sun-dried in the Quiche region of Guatemala, an area once ravaged by a 36-year civil war, the barista explains. Each coffee plant is hand-cultivated, pressed, and sold at fair wages to protect workers’ rights and bolster the economy. Nicole is all about fostering personal connections, doing so with a degree of enthusiasm that’s contagious. 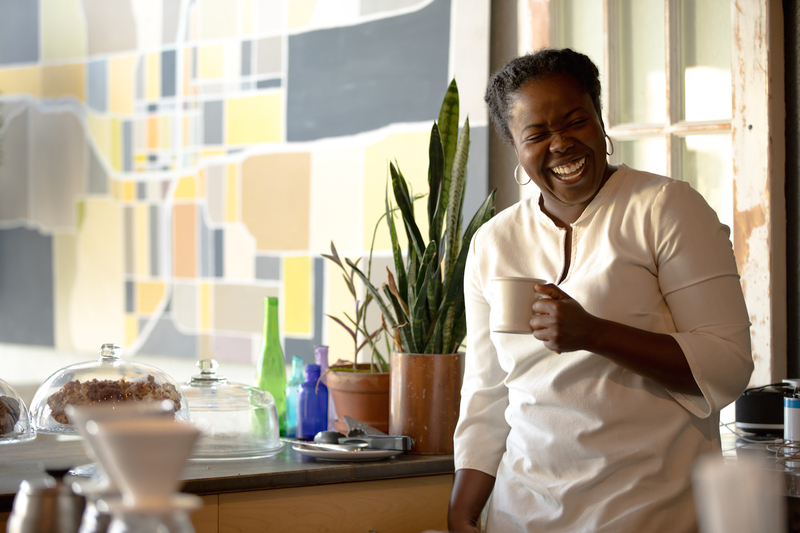 Those connections begin first thing in the morning as she greets regular CREDO customers by name, and they extend into work that reaches far beyond selling coffee. In her role as “Rally Director,” Nicole energetically leads an effort that distinguishes CREDO from other cafés much more than their story sharing and name-your-own-price approach: she helps CREDO partner with and “rally” community members to bring positive social change to downtown Orlando. Partnerships have included a bike rally with the Parramore Kidz Zone, monthly trash pickups with Keeping Orlando Beautiful, and mentoring kids alongside the Boys & Girls Club. 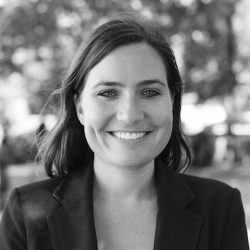 Nicole’s love for personal connections comes to the fore as she mobilizes “Rally Makers”—individuals and organizations who pool their resources and expertise to nurture new social enterprises in the city. A life of impact usually starts with steps so small they seem silly; so small that the momentum of our life always seems to carry us away from them. It’s only when we rally together that we’re able to overcome that momentum, reject our tendency toward apathy, and impact our city, world, and selves for good. 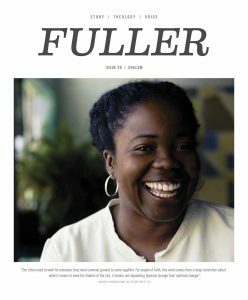 During her time at Fuller, Nicole found more than an opportunity to impact the city. She found a like-minded academic family where friendships came quickly and easily. She learned how to generously support others while also receiving support for herself. When it was time to graduate and move on, Nicole was tempted to stay in the familiarity of that community, to turn away from her internal drive to make an impact beyond the life she had created in Los Angeles. 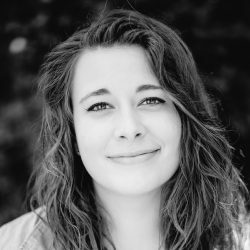 Nicole resisted that temptation—rejecting, in the words of her future employer’s mission statement, “a tendency toward apathy”—and moved across the country to join the Christian advocacy group Sojourners in Washington DC. Yet after a year doing work there that focused on higher-level, structural change, she felt the pull toward something else. “I was itching for the grassroots life,” she says, but wasn’t sure what that would look like. She returned to her hometown of Orlando for a time of transition, wanting to discern what this next thing might be that she felt called to but couldn’t yet define. A friend and fellow Fuller alum, Matt Winkles, stepped in with an answer. 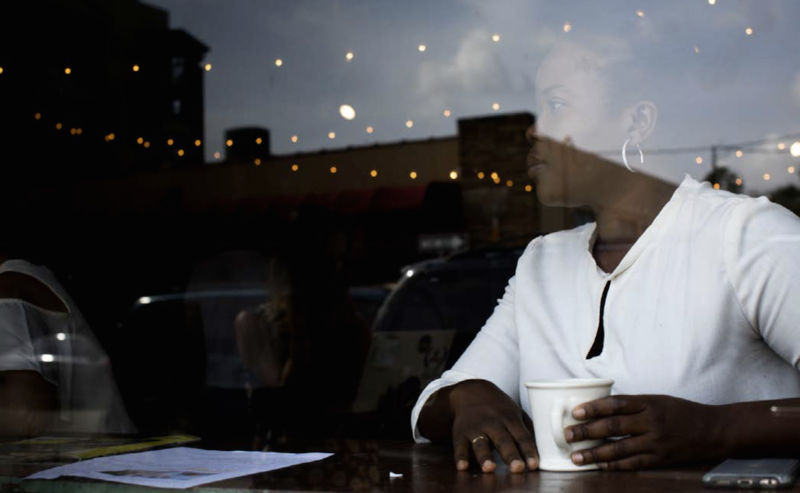 He told her about a coffee shop his brother- in-law, Ben, had started in downtown Orlando, with the goal of not just serving coffee but looking for ways to bring social change to the city. The idea excited Nicole: “I thought, ‘Man, I love community work—let’s change Orlando!’ When I told Ben I really aligned with CREDO’s mission, he said, ‘Cool, but can you make coffee?’” Nicole realized her first role with CREDO would mean staying inside to run the coffee shop— but it was an important step toward impacting the city. “I came to see that, at CREDO, everything starts in the coffee shop—getting to know our customers and making the personal connections that could help us make a difference in the community,” she says. After two years, as those relationships grew and CREDO expanded the breadth of its work, Nicole took on the newly formed position of Rally Director—which indeed takes her out into the community daily to nurture social change. “CREDO is in a place to move forward conversations like this because we’re part of so many different networks of people in Orlando now,” she says. “I can approach a local chef, or others I know who host dinner parties, and say hey, you’re really good at this—would you like to help? I ran into the chief of the fire department last week and said, by the way, we’re doing this dinner on Division Avenue—can we use your kitchen? It’s just a block away!” With her brilliant smile and unrestrained enthusiasm, Nicole undoubtedly gets a “yes” much more often than not to requests such as these. As she wholeheartedly embraces projects like the Division Avenue discussion, Nicole feels, for the first time since she was at Fuller, a strong desire to settle down and stay in one place. But this time her life’s momentum is helping her carry out the work she feels called to. Rather than overcoming its force, it is time, she feels, to give in to its pull. Christina graduated with her Master of Divinity in 2011. She loves to write, bringing together her background in English literature, theology, and spiritual formation.